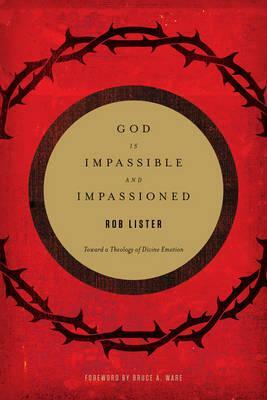 God Is Impassible and Impassioned: Toward a Theology of Divine Emotion, Crossway, 2012. “J. Lee Grady's 25 Tough Questions About Women and the Church : A Review Article.” Journal for Biblical Manhood and Womanhood 9/1 (2004): 101-108. “A Trinitarian Collapse: The Application of Rahner’s Rule as a Key Element in Moltmann’s Argument for Divine Suffering,” presented at the Southeast regional meeting of the Evangelical Theological Society, Louisville, Kentucky (March 19, 2005).